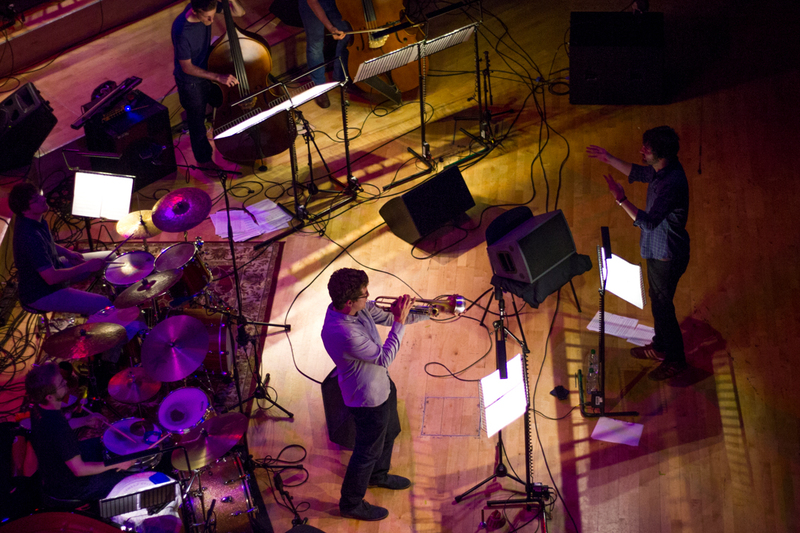 In 2016 I was awarded the Irwin Mitchell mjf originals commission by Manchester Jazz Festival, for which I formed a brand new large ensemble called New Seeing consisting of trumpet, 12 piece string ensemble (6 violin, 3 viola, 3 cello), piano doubling celeste, 2 double basses, 2 drum kits and electronics. 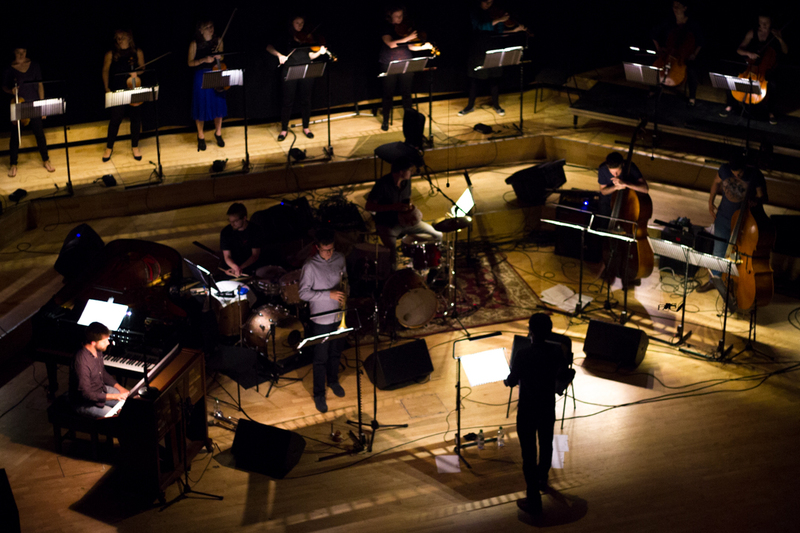 New Seeing premiered on 27th July 2016 at the Royal Northern College of Music as one of the Manchester Jazz Festival’s headline events. mjf originals scheme is supported by Irwin Mitchell, Arts Council England and PRS for Music Foundation. I’m also grateful to the PRS for Music Foundation for additional funding for pre-composition research and development workshops.